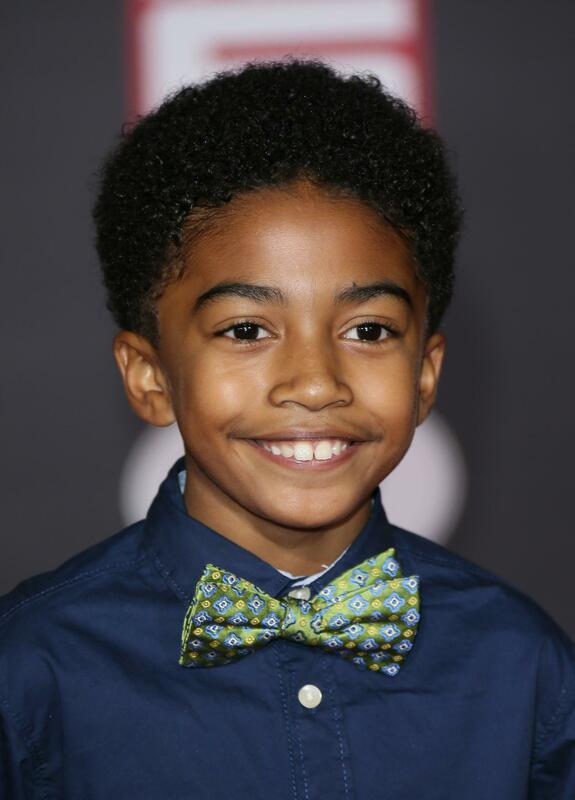 You know him as Jack Johnson, the precocious pint-sized twin on ABC's "Black-ish." In reality, he's a precocious pint-sized 10-year-old who is going places. Miles Brown does it all. He’s an accomplished hip-hop dancer, featured on shows like “The Ellen Show” and the now-defunct “Katie.” He stars alongside Hollywood legends like Tracee Ellis Ross, Anthony Anderson and Laurence Fishburne on the hit ABC series, black-ish. Oh, and did we mention that he just turned 10? Miles, expressive and bubbly, isn’t unlike his character, Jack Johnson. Both are wise beyond their years, and both have the uncanny ability to steal the hearts of their audience. The mini superstar recently stopped by ESSENCE, where he gave us the scoop on everything from what’s it like working with his costars to who is the best Marvel superhero (Spoiler: It’s Iron Man). What was it like when you found out that you had booked black-ish? When I first found out that I booked it, I just went crazy. Then we did the pilot. That was really cool. Then we had to wait to see if it would get picked up for a season. A few weeks later, I did this dance video with my friend. While we were walking on set to go film it, my dad got a call from Marsai Martin’s [who plays Diane Jackson] mom, and she told him that the show got picked up. He told me, and I went crazy. I started trying to kick the trees, and I started doing backflips. I just get more excited to go every day. Did you have any idea how big the show would become? Yeah, actually, sort of. We just won our first NAACP award, and some of the cast of black-ish won five times. It felt really good, especially knowing that the show won in our first season, and especially knowing that it’s me and Marsai’s first pilot. It’s kind of cool knowing that we just started, but it’s already a hit. You guys seem like a fun group. What’s it like on set? It’s really crazy, especially knowing that every day, you’re going to see Anthony Anderson and Tracee Ellis Ross and Laurence Fishburne because they’re going to be your parents and your grandfather and older siblings. It’s cool to have three more siblings because I only have an older sister. Is life different now that you’re on a hit show? When I was three, I did my first acting thing, but it was mostly dancing during that one. When I was five, I did this commercial for Disney channel. It was a group of us kids in a park, but on TV, they made it look like we were in the clubhouse of Mickey Mouse. It was really cool. That was my first commercial. Probably Hugh Jackman and Robert Downey Jr. Maybe just the whole cast of Avengers. You just turned 10-years-old, right? And you’re one of them now! Whooo! I joined the club!